More and more schools are dealing with huge budget cuts and decreasing enrollment numbers. Having talked with schools across the country about their budget and enrollment issues, I find myself questioning why more time isn’t spent on retention initiatives. Retention is a key issue for schools, but it’s certainly not an easy one to solve for. Academic unpreparedness, front-loaded tuition, illness, level of indebtedness, unmanageable work/life balance; factors influencing student retention are complex and layered. It’s much easier to retain a student than it is to get a new student, and it’s much less expensive as well. There are also fewer young people today to begin with. Add to this the fact that fewer youth are going to school, and it feels like a perfect storm for the enrollment drop we are seeing throughout the country. We all know that schools are hyper-focused on retention, but where are the truly innovative efforts that can help settle the storm? Many retention challenges can be solved with transparent, clear financial aid services that improve financial literacy at every step. 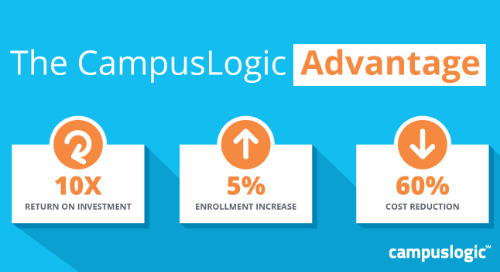 CampusLogic’s cloud-based technology simplifies financial aid, and fosters student understanding of available aid, borrowing, and cost. StudentForms: Simplify and streamline FinAid processes like verification, creating office efficiencies and enabling employees to focus on one-to-one counseling. 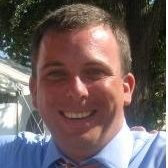 AwardLetter: Communicate your institution’s value dynamically, driving financial literacy through embedded video, resource links, and hover copy. CampusMetrics: Evaluate the effectiveness of your financial literacy efforts, segmented by the various populations within your student community. Retention challenges won’t be solved for overnight, but resources exist to help your students make wise financial decisions that enable them to persist.